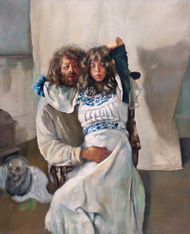 At the weekend I went to see the Robert Lenkiewicz exhibition at Torre Abbey, Torquay. 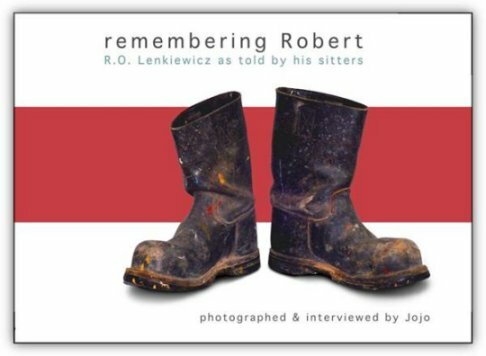 "He was born in north London in 1941, the son of German-Polish refugees who ran the "only Jewish guest house in town", ... whose 60-odd elderly residents included several concentration-camp survivors. He grew up there with his two brothers, "surrounded by lunatics and rabbis" who became his first artistic subjects. From time to time, he would apparently be called upon to help his mother wash down the corpses of those aged residents who had died on the premises." 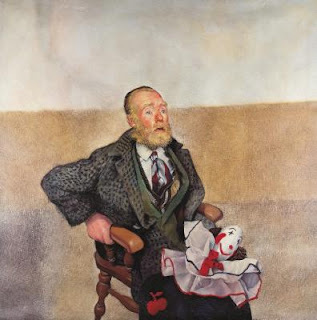 "He gained places at St Martin's School of Art and the Royal Academy Schools, and later set up himself up in Hampstead, where he taught art and began his lifelong dedication to society's unfortunates, throwing open his studio to vagrants, criminals, the mentally ill and drug addicts. In 1964, he was asked to leave the city by the Metropolitan Police who claimed he was attracting too many "undesirables" to the area." 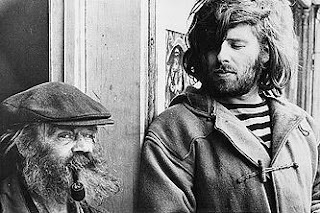 "In the early 1970s, Lenkiewicz moved to Plymouth, where he quickly became a recognisable local character around the Barbican, with his straggly long hair, Rasputin-esque beard and a style seemingly borrowed from his vagrant friends ... continuing to attract down-and-outs like a charitable magnet. 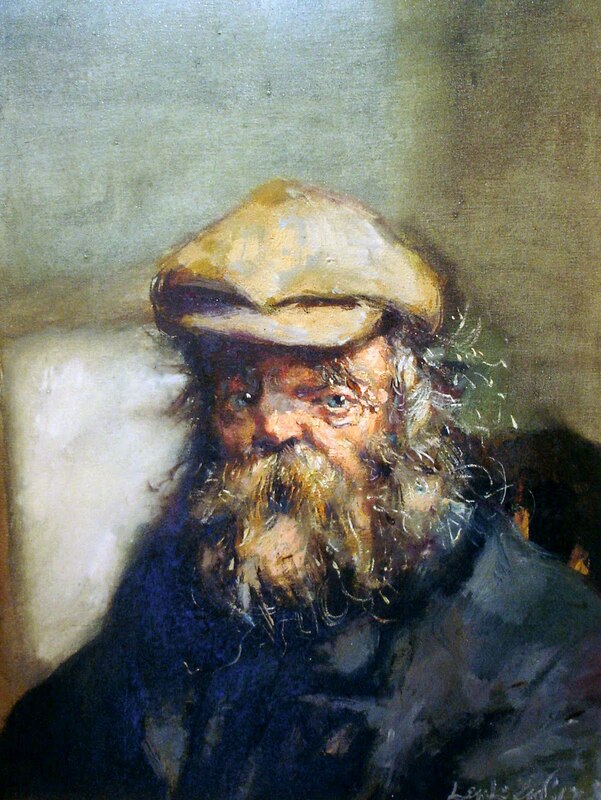 He offered them accommodation and refuge in his nine derelict warehouses scattered around the city, ... for which he acquired worn-out beds from the local hospital, and where he hosted a Christmas dinner every year. His hundreds of charges eventually became the subject of his first project, an exhibition of portraits entitled Vagrancy." He faked his own death in 1982 but when he actually died in 2002 he left behind millions of pounds of debts and claims from his many mistresses. He also left behind a wealth of work, much of which was sold off by his estate to pay off his debts. The exhibition at Torre Abbey is entitled Death and the Maiden. A couple of rooms are given over to detailed drawings and preparatory notes made by Lenkiewicz for the original exhibition of that name in Plymouth and Coventry in 1974. 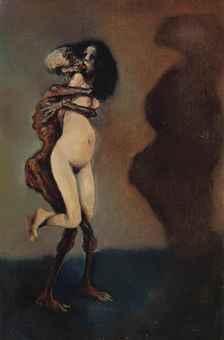 Death and the Maiden is a common motif in Renaissance art and both Death and Death as a Lover were themes that fascinated Lenkiewicz. At one end of the room there is a screened-off area that shows a short film about the artist's life and also the embalmed body of Diogenes - the tramp who was a friend to Lenkiewicz and whose body he had, by agreement, preserved and hidden after the tramp's death. Diogenes was a small guy and his waxy body seems unreal in its glass fronted case. The exhibition is a great representation of Lenkiewicz's work. At about £6 for entry to the Abbey it is good value, even if you have already visited the remainder of the Abbey exhibits. The catalogue will set you back another £5. If you're interested I would recommend the book Remembering Robert, which is a great collection of reminiscences from his sitters and is illustrated throughout. The exhibition is on until the 2nd October. Go see it.